BBC Radio 5 live - 5 live Boxing with Costello & Bunce, "Povetkin could ruin everything for Anthony Joshua"
"Povetkin could ruin everything for Anthony Joshua"
What is Anthony Joshua in for when he fights Alexander Povetkin on 22nd September? 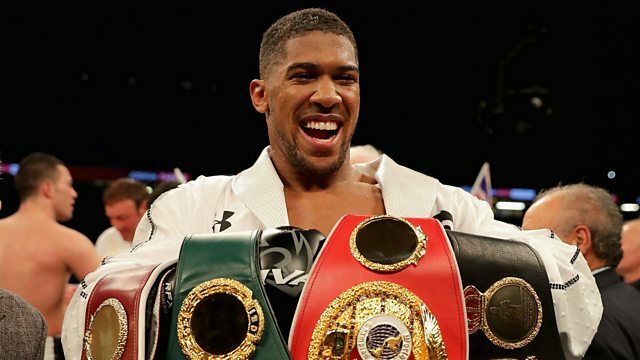 Anthony Joshua will fight Alexander Povetkin on 22nd September at Wembley stadium, but what is he in for? Mike and Steve return to break down the fight (0.55), and talk to Matchroom Sport founder Barry Hearn about why it’s Povetkin and not Deontay Wilder in the opposite corner (7.43). Also, reaction to Manny Pacquiao rolling back the years to stop Lucas Matthysse (17.10) and Rocky Fielding’s upset win over Tyron Zeuge (24.50), and Mike and Barry Hearn reminisce about the state of boxing the last time England’s men made a World Cup semi final (36.57).